Against all of my digital principles of waiting until a .2 version comes out, I installed Mojave a couple of days ago. Now both LR Classic and PSCC 2018 and their interplay is lightning fast. With one exception, all of my 3rd party photo editing software works better or as well as it did on High Sierra. That exception is Topaz Studio, which is interminably slow in opening up; it takes at least 45 sec. for the interface to come up, and then another 15 sec. before I can access an Adjustment. From there on, it works fine (as long as I am inside of Studio). However, if I leave Studio and come back to it, I have to wait another 45 sec. for it to open. This was not the case when I was using High Sierra. I usually don't jump into a new OS until I know all other programs I use on fully onboard... that may be the case with Topaz as Jack has mentioned with his findings with Studio? And yet on the Facebook page Topaz said everything tested OK? OK, I bit the bullet and installed Mojave. Nearly every app was slow to open in the first instance but picked up the second or third time. Topaz Studio the first time locked up completely and I had to force quit. Subsequently it opened but then this 'Syncing Content...' business which it does every time it opens (very annoyingly) took ages and occasionally on subsequent restarts locked up again. On the occasions that it opened, the "Syncing Content..." failed and returned the message "there was a problem syncing content". It's a problem that has been happening for some time, I think it has been reported before, but with Mojave it appears to be a bigger problem. I don't know exactly what it is doing but even if it fails it appears to make no difference to normal operation of TS, so why is it there? And, if it is necessary, why is it not working correctly? I agree with Mond and Jack. opened a 9.5 MB file from 2003 D100 shot and it was horribly slow to open and there was also a odd thing about AI Clear - it opened at at full/to fit view. I could not get it to go to 100% using the button nor would it open at 100% as it usually does, but I could get it to zoom in using the +/- buttons. A bit quirky! 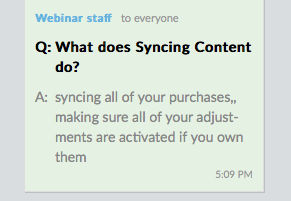 Here is what was explained on a Topaz webinar of ...What does Syncing Content do? Not sure why this has not been fixed yet, especially if it is important with syncing and activating our purchased adjustments? Hope your Mojave experiences with Topaz gets better. Unfortunately I cannot upgrade to Mojave, my iMac does not meet the system requirements. OK, thanks for that, but it does raise a new question. If there have been no changes, and surely Tooaz have host and client change logs for their products, then it is unneccesary to re-sync all products every time TS opens, just a quick check to see if the client matches the host. Anyway, it’s an absolute pain when it locks up. Update: All AI processes are taking several minutes to process the first time around, then they revert to normal. I need to check if this is the case each time TS is opened, I really hope not. OK, the bottom line is that TS has become decidedly unresponsive. Every time it is opened the beach ball spins and spins while it does that sync thing only to eventually (minutes later) say it can't actually sync anything. Throughout editing TS is extremely hesitant and again sometimes has to stop to spin the beach ball for a while, seemingly at random, and it's not just on AI Adjustments. Saving works OK but Lightroom again will not open a file edited by TS in Develop module, it has to be shut down and restarted before it will do so. Tested some Topaz plug-ins in Photoshop and these all worked OK.
OK, thanks for that, but it does raise a new question. If there have been no changes, and surely Tooaz have host and client change logs for their products, then it is unneccesary to re-sync all products every time TS opens, just a quick check to see if the client matches the host. I understand your point and agree.. but we don't know how Topaz operates on their end? Have you thought about going back to High Sierra and waiting a bit with Mojave to find out if it's an Apple or Topaz issue? It may not be worth all the trouble you're experiencing, I remember people had issues when High Sierra first came out with Topaz too? Topaz Studio is the only program that is giving rise for concern in Mojave, so it is not worth going back just for that. I'm running lots of other stuff OK. I'll just potter on slowly with Topaz for a while until they sort it out. Yes with no problems as yet. Yes, I recently installed it. Topaz Studio 1.14.4 is extremely slow on my rig. But this is not the only app experiencing this problem with the operating system update. Camera Bits Photo Mechanic recently moved to version 6 to replace their 32-bit Windows and Mac apps with 64-bit versions. This was done after extensive beta testing. The release resulted in numerous reports of slowdowns on some Mac systems. The Camera Bits folks say they are working with Apple in an attempt to solve this problem.